Brother Computerized Sewing Machine XR9550PRW Project Runway Ed. is currently selling at $175.33, approximately $2.87 lower than average, giving a potential saving of $3.58 right now. With a lowest price of $175.33 and an average of $178.20 it is selling on the low end of its usual range. Price volatility is 0.3% (meaning it does not change often), so the price should stay low for a while. Right now this product is a recommended 'good deal'. The current deal is also the best price on this item over the last month. 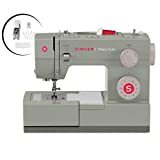 Compare the current price, savings (in dollars & percent) and Buy Ratings for the top Sewing Machines that are closely related to Brother Computerized Sewing Machine XR9550PRW Project Runway Ed.. 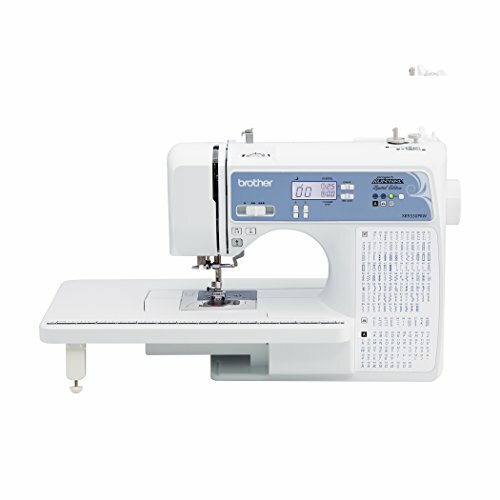 Here is how Brother Computerized Sewing Machine XR9550PRW Project Runway Ed. 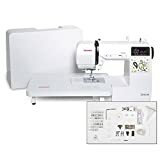 compares with other leading Sewing Machines. FeaturesLARGE LCD SCREEN: The Brother XR9550PRW computerized sewing machine is easy to navigate thanks to its large backlit LCD screen.110 BUILT-IN STITCHES: The Project RunwayTM Limited Edition computerized sewing machine includes 110 utility, decorative and heirloom stitches.AUTOMATIC NEEDLE THREADER: With a simple touch of a lever, the advanced easy needle threader pushes your thread right through the eye.8 ONE-STEP AUTO-SIZE BUTTONHOLE STYLES: Choose from 8 styles of one-step, auto-size buttonholes for virtually perfect buttonholes.